Working individuals always run short of time! Team meetings, targets, client calls, late working hours leave them no time to take care of themselves! Enroll in the gym closer to your office – When the gym is closer to your office, you can work out every day without an excuse. In fact, in becomes your daily routine! Make your travel your workout – If your workplace is closer or feasible to reach without driving then choose walking or cycling. It adds to your workout. Skip lunch hour, stick onto lunch break – Spending an hour for lunch leaves you no time for exercise. 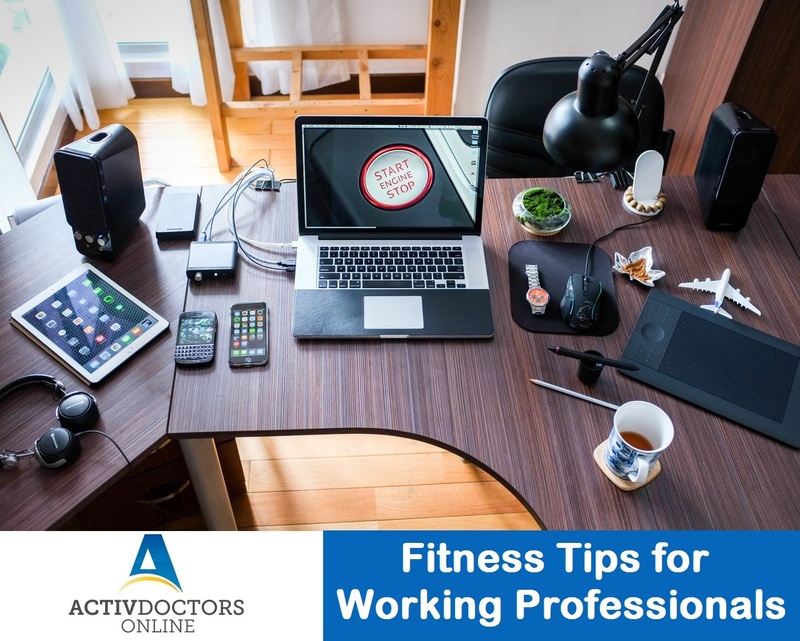 Have your lunch at your desk and utilize an hour to exercise. No lifts only stairs – No matter you work at 11thfloor or 2nd, choose stairs and never lifts. Taking stairs takes your heart a long way. Find your workout buddies – To keep yourself motivated, find colleagues with similar interests. Make your routine a workout – Be your visit to grocery shop, vegetable shop, walk fast and that becomes a workout as well. Prefer standing at least in situations possible, as it burns more calories and keeps you fit. Consider healthy foods as your meals and snacks. Being professional doesn’t mean you compromise on your health. Being healthy should be the priority. If and only if you are healthy, you can succeed in life and your career as well. Bananas – Good or Bad?